A well-formatted blog post can keep your audience engaged while they read (or scan) your content. This is incredibly important for both user experience and SEO. There’s nothing worse than a huge unorganized blob of text when reading an article. I find myself hitting the back button whenever I come across an article that is just a huge blob of text. It feels like reading an old encyclopedia. It’s just not very appealing. Do not make the mistake of writing poorly formatted blog posts when starting your blog! Start off right, or pivot your strategy if needed. The following are some simple ways to structure your blog posts for maximal user engagement. Using proper heading or heading tags (or H tags) may seem like a no-brainer to many. However, I see many people using heading tags incorrectly, or not even using them at all. If you are new to blogging or SEO, heading tags are simple HTML tags used to structure content on a web page. Heading tags help the search engines to analyze and categorize your blog content. They are also vital for user experience because it helps break up the content, for easy scanning. Optimizing your heading tags is a basic, yet essential aspect of SEO. The whole point of blogging is to increase your traffic and readership, right? Well, SEO is the best way to do that. Start with optimizing your heading tags if you aren’t already doing so. It’s such an easy step that you should not take it for granted. Most people who start a blog will usually use start with the popular WordPress CMS. With WordPress, there is a simple dropdown that allows you to apply heading tags to your content, as shown in the above screenshot. Many people use H Tags, but they may not know how to use them properly. Instead of fumbling my words trying to explain it, I will just show you how I would structure a sample post with heading tags. Let’s say I wanted to create a post on ‘dog training’ as an example (I know, real original). What topics do I want to cover in this post? How should I structure my post? How many heading tags should I use? What should I name the heading tags? These may all be valid questions that some might have. Just don’t overthink the layout of your post. 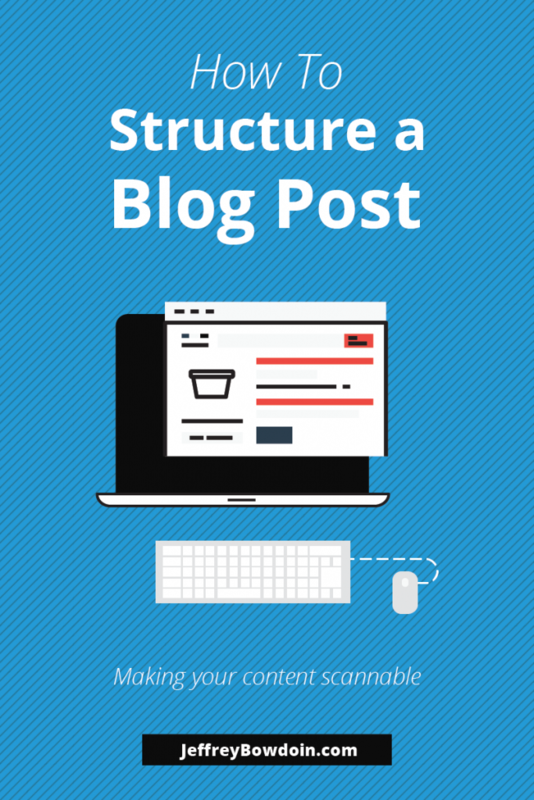 You should think of structuring your blog post as you would a table of contents in a book. Better yet, think of your blog post as an outline. Now you just need to implement heading tags within this structure. Multiple Heading Tags would represent the titles and subtitles of your sections of content. This next example uses the same structure as the outline above, but with heading tags. Do you see how the H1 tag is the primary subject matter of the post? The H2s are subheadings of the H1. Then the H3 tags are subheadings of H2. If I were to go further, I could use an H4 tag as a subheading of the H3 tags, and so forth. Notice how I only went up to H3 tags in this example? Since it is a blog post we are talking about here, you typically don’t need to go any higher than the H3 or H4 tags. Sure you can if you want. However, you likely will only need to use H1-H2, H1-H3, or H1-H4. It all depends on how in-depth your article is. What about multiple heading tags? You can have multiple H2, H3, H4, etc., but you should stick with one H1 tag. Sure there may be some instances where it might be appropriate to us multiple H1 tags (HTML5), but it is recommended to use only one H1 tag. For the SEOs: Will it hurt you if you use multiple H1? Probably not. But there isn’t usually a reason to use multiple. If you did, you definitely wouldn’t want to keyword stuff them. While on this topic, you also don’t want to keyword stuff all your H tags with your target keyword. Keyword stuffing H tags are likely “over optimized” and it may be bad if your heading tags look unnatural. Try to place the main keyword in the H1/Title if possible, or H2 and the rest you can use natural language or variations/LSI keywords. Note: WordPress user and the H1 / Title tags: In WordPress, you should place your main title (H1) heading at the top of the page. Place it in the skinny rectangular box, right above where it displays the URL. The text you put here will be your H1 and the page title. Then, in the larger text editor box, you will want to start with your H2 tag. Doing it this way will ensure you have the title tag, h1, and h2 tag – all standards for basic SEO. Using bulleted lists, lists, numbered lists, bolded words, etc. are all great ways to make your content ‘pop,’ making it more scannable. There are a lot of great blogs that utilize this method to make their content easily scannable. There are also a ton blogs that don’t implement this, though. Are you one of them? Step up your (SEO, UX, Content marketing) game, and make your blog posts scannable! Bulleted lists: Yup this is a bulleted list. Numbered lists: you can also use numbers! Quotes: Hey why not throw in some quotes here or there. Bolded Text: Yup I made the text bold, so it is easy to scan. In the design world, whitespace is essential. Some of the best pieces of graphic design are very simple and implement whitespace throughout the design. I view each blog post through a design viewpoint. I believe that design is critical to user experience and usability. You don’t want to have huge long paragraphs in your blog posts. You want to break them up into smaller sections. This just makes it easier to scan and less intimidating to read. Breaking your paragraphs up into smaller chunks and creating a space between each paragraph is adding whitespace to your blog post. As a general rule of thumb, I like to keep my paragraphs to only about 3 to 4 lines. If you look throughout this blog post, you should see that I break up the paragraphs into smaller segments, so it’s not just one huge paragraph under each heading tag. If you’re using a WordPress theme, and you are not happy with the spacing between the heading tags and between the paragraphs, you can add some custom CSS to add some more whitespace (padding and margin). Using graphics throughout your blog post can be a great way to break up long bouts of text. Usage of images makes it much more appealing for your audience to read and scan your content. Don’t have any graphic design skills? Or just want to speed up your workflow? Try Adobe post (now called Adobe spark) or canva to create professional looking graphics very quickly and easily. I know my way around illustrator and photoshop, but I often find myself using these free graphics tools because they speed up my workflow for creating blog posts. My current favorite blog post graphics app is Adobe post spark because of the templates and the ability to dynamically resize images for different social media platforms. Canva has a similar resize functionality. However you need to pay a monthly fee for that premium functionality. The above image was done using the Adobe post app Adobe spark app. I’m sure a professional graphic designer would blow that out of the water with their graphics, but hey I’m not complaining. Its quick and free. It took me 3 minutes to create it. It probably would have taken 20-30+ minutes to do the same thing in photoshop. Why is a scannable blog post structure essential? User-Friendly: The number one reason why you should have a good blog post structure is that it offers an excellent user experience. Most people like to scan through your content, so why not give them what they want? Scannable: Most people like to scan blog posts, so why not give them what they want? Search Engine Friendly: Some interesting Google patents possibly provide a reason to structure your blog posts. The patents show that formatting your posts may be good for search engines too. There was an interesting study conducted that wanted to answer this question: Do people read web pages word by word? Think about it. Most people scan blog posts, either because they are in a hurry or from information overload. Think about your blog scanning habits next time you read some blog posts. You may not even realize you are doing it! Content marketing and SEO is what generates traffic. Since traffic = income potential to individuals and businesses, we now have an epidemic of content. This increase in content is a good and bad thing. Content is great for the consumers’ benefit, but it is often overwhelming. There is so much to read, with not enough time to read all the amazing content available. Information overload: We are in an epidemic of content creation simply because that is what currently works for SEO and blogging. The result is that there is simply way too much content out there. Most people don’t even fully read the blog posts they come across. Instead, they scan it. People are busy: People are busy these days. There is not enough time to get stuff done in people’s hectic work lives – this includes reading all their favorite blogs. Most people end up scanning blog posts to read parts of it rather than reading start to finish. Deciding if the article is worth reading: Some people will scan a blog post before making the decision to read it. Scanning blog posts make it easy to see if the post has good content. Typically only after scanning a page, people will read the whole post. Scanning portions of the article: Many people will just pick and choose sections that look interesting. I find myself doing this, only reading a few paragraphs here and there of a beefy article. Hybrid Scanning: Many others will even have a hybrid approach to consuming content online. They will mix scanning and reading portions of the material that spark their interest. Do search engines scan web pages too? Google uses something called semantic closeness to indicated ranking scores and relevance of the content. Apparently, it looks at bulleted lists, numbered lists, etc. to help guide its ranking and relevance scores. You can try reading the patent, but it isn’t easy to understand. At SEO by the sea, they give a more layman’s explanation of this patent. The web page structure can also be vital for SEO, for not so obvious reasons. The ‘scannability’ and layout of an article is not something people usually think about as a top priority when optimizing a page. What is something that most people forget when doing SEO, yet can have a dramatic effect on SEO? As a general rule of thumb, you shouldn’t ever sacrifice user experience for SEO. Let user experience take priority. SEO benefits: The SEO benefits are (possibly) direct and indirect benefits. Your website is less likely to have high bounce rates. Chances are greater that people will click through to another page on your blog when they see a quality post. Scannable content is a must for high-quality content. UX: UX or user experience is all the rage these days. And for a good reason – it works. Keep your audience happy, and they will likely visit your blog again. Social media shares: When blogging, social media is a great way to increase your exposure. People are much more inclined to share a well-formatted post over a big block of text. Bookmarks: When people bookmark your blog, they are more likely to come back later. This is something I have seen on so many websites, it drives me crazy. Having a clear, easy to read blog is crucial for visibility on increasing conversion rates. When our customers ask us how to blog, this is one of the areas that we explain first, exactly how to write a blog post. Solid post, thanks for sharing.